I have devoted her career to the education of students and their teachers. In my current role as Director of Induction for the American Samoa Department of Education, I have moved from having my own classroom of students to the larger arena of working in many classrooms, with many beginning teachers and their mentors. Recently, I worked with the University of Hawaii to institute a B.Ed. program in Secondary Education for American Samoa teachers in certain subject areas to strengthen their practice. My commitment to making certain that all beginning teachers in the territory have access to high-quality mentors; are supported; and continue to learn as they begin their careers, constitutes the foundation of my advocacy for the profession. 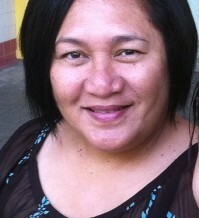 Tui Peau is the 1989 American Samoa Territorial Teacher of the Year. Currently serving as the Program Director for Teacher Induction at the American Samoa Department of Education, Peau holds a B.A. from Chaminade University, Hawaii, and a M.A. degree from University of Hawaii. She taught 3rd, 9th, 10th, 11th, and 12th grade students in the course of her career. Peau is a Barry J. Gibbons Awardee and serves as the Vice-Chair of th College and Career Readiness Committee at ASDOE.